This study examines what kinds of paradoxes emerge in social enterprises and how they cope with those paradoxes. I argue social enterprises experience conflict due to their logic multiplicity. This research employs an inductive multiple case study design to examine management practices of social enterprises by using the sample of social enterprises in the Republic of Korea. The results empirically confirm four types of paradoxes and reveal that social enterprises use various approaches to address paradoxes, thereby sustaining their organizational hybridity. 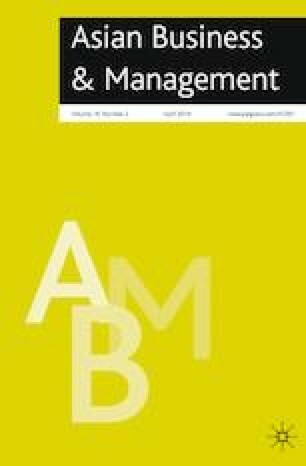 This study theoretically contributes to research on social enterprises as hybrid organizations, logic multiplicity, and organizational paradoxes. This research was supported by the Keimyung University Research Grant of 2018. Can you tell me about your background and how you came to start this company? Can you give me general information about your company? Could you describe the company’s mission and objectives? What social problems do you aim to address? Can you give me an account of the company, from its founding to today? Please describe your business model, and the degree of integration between social and commercial activities. Can you tell me about your company’s main products or services? If you experienced any conflicts or tensions in managing your company as a social enterprise, what tensions did you confront to simultaneously pursue the dual mission (i.e., social and economic values)? How did you manage or overcome those tensions?